I am absolutely horrible with giving baby and wedding presents on time! I have to move on to Quilt #4. Another baby quilt. For a baby that will be one next month. Ok, so this is another one of those bad planning on my part things! But… The baby shower took place when she was 4 months old… So, technically I’m only 8 months behind! 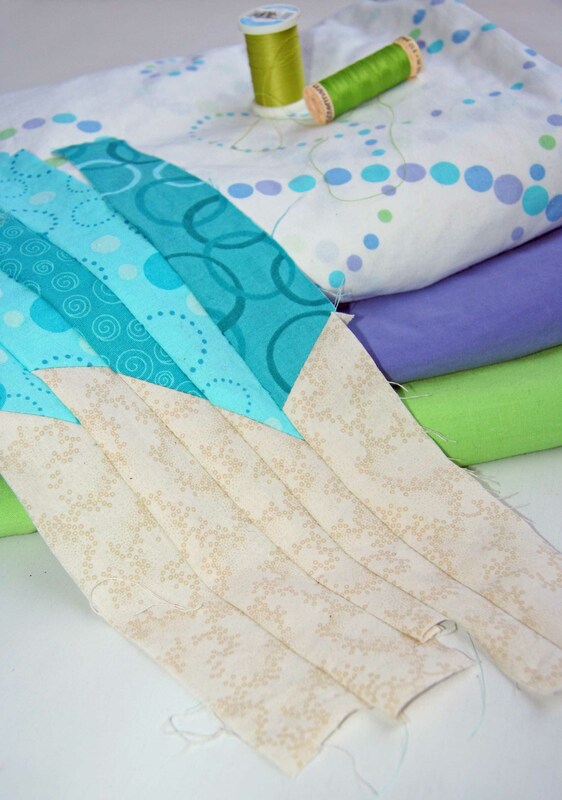 This is another quit where baby shower guests brought fabric swatches for the quilt. 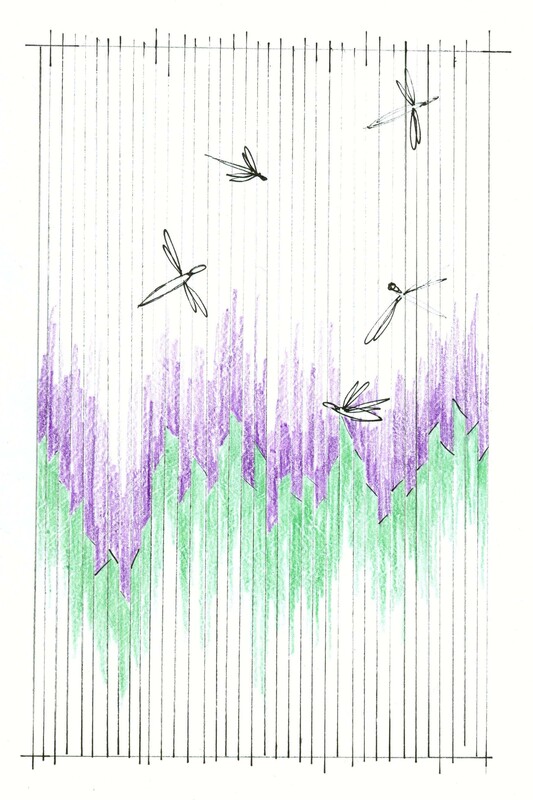 So the quilt design is going to be green grass along the bottom with a purple sky and dragonflies flitting along. I think I figured out the grass part… Here’s my sample. Imagine the brown part green and the blue part a purple sky. The colors are from the baby’s room. 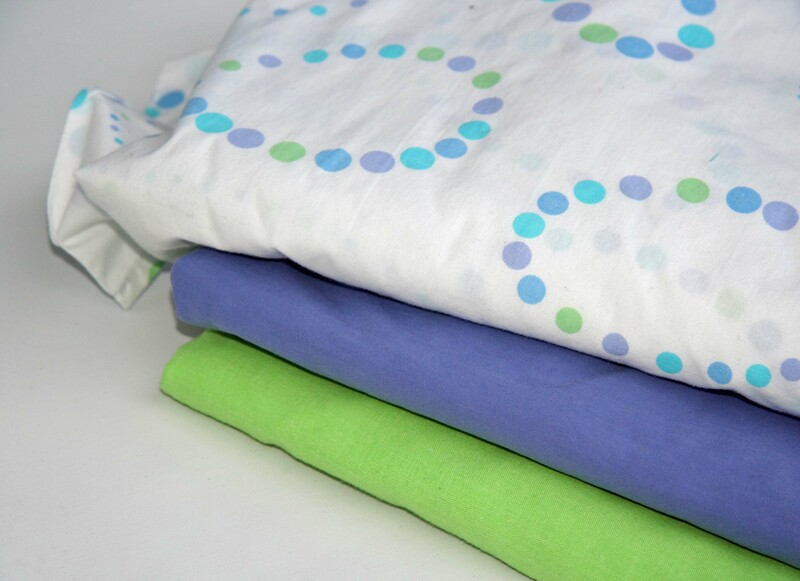 I just happened upon the polka dot sheet with the exactly right colors so I snatched that up for the back! Then found the green and purple to go with it. 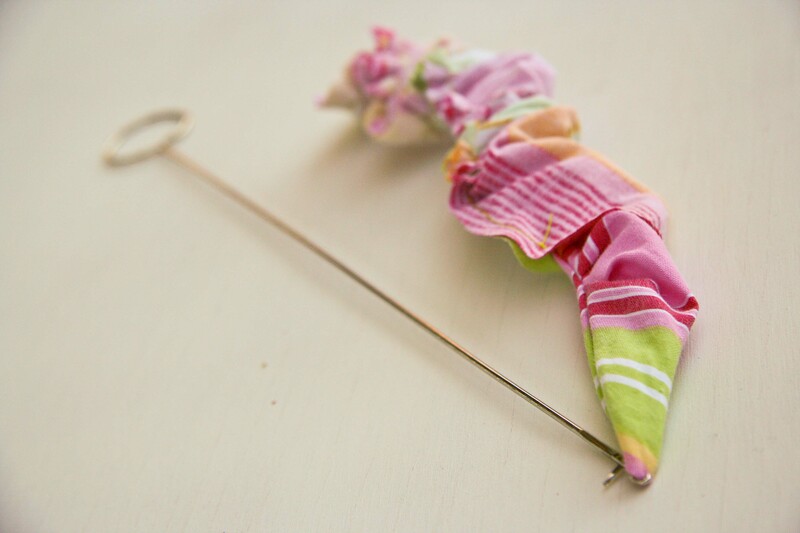 The dragonflies will be from the fabric the guests brought. I can’t wait to share more!! Is it horrible that I am so late on these things? Or is it the thought that counts? Or does it make it ok to be so late since it’s a handmade gift of love?? How exciting! This project is such a great idea. 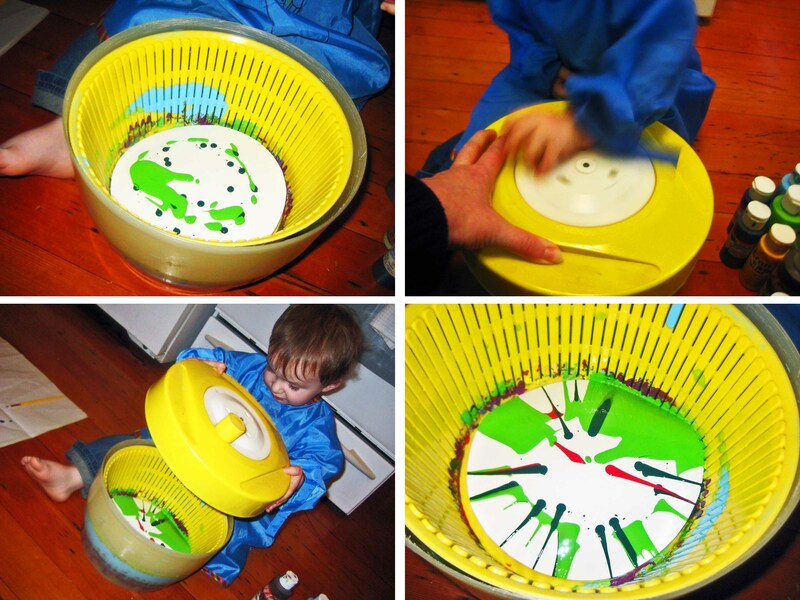 A few months ago, I saw the salad spinner art idea on The Artful Parent’s blog. I was super excited about it then. Almost ran right out to buy a salad spinner. But I didn’t have my Bed Bath and Beyond coupons (and I don’t go there without one) so I just told all my friends about the idea. One of them mentioned that the spinner shown had a flat bottom and the newer ones are roundier, so an older one would work best. Great observation, Jayde! 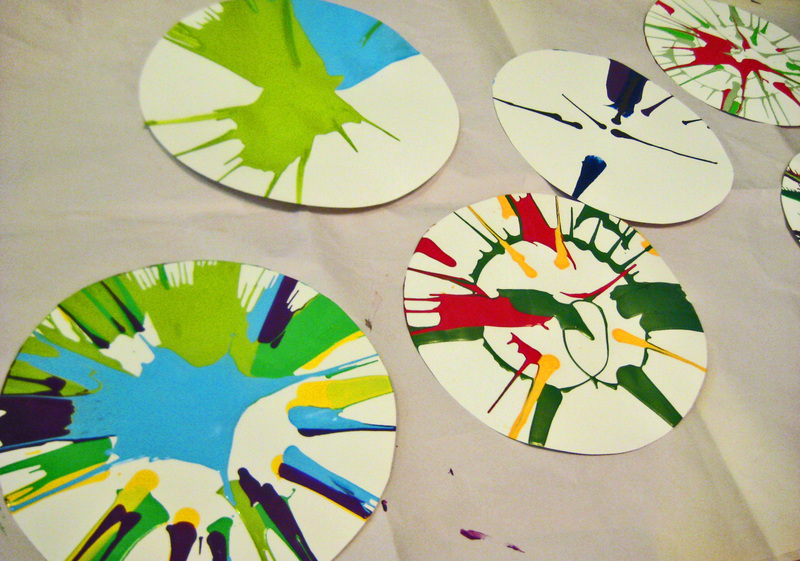 We had a great time making spinny art or circle paintings as my son calls them! The 2.5 year old doesn’t really understand the ‘Don’t squeeze too hard’ idea, so we ended up with some thick globs of paint! But hey, that’s ok! My son loved spinning the spinner and opening it to see what had happened. My favorite part was when he opened the lid, was super excited about the painting and then decided to add more paint. For some reason it hadn’t dawned on me to add more paint once we had already spun one… And he picked out the paint colors for each one. I’m pretty impressed…. My son usually wakes up and asks, ‘Where’s Daddy?’ and then ‘Can I watch TV?’ But this morning the conversation went a little bit differently… ‘Where’s Daddy?’ and then ‘Can we make more circle paintings?’ Then he said, ‘I know! 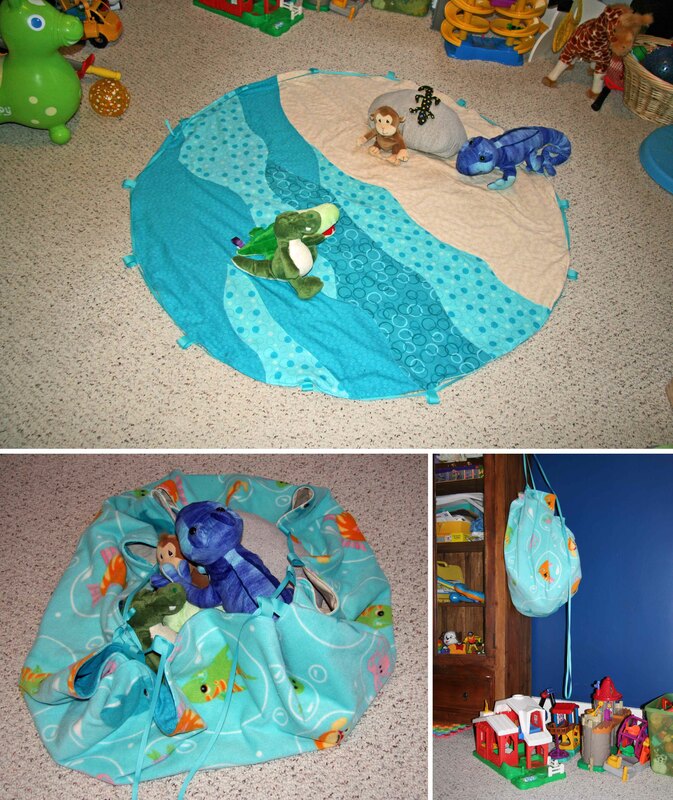 We’ll make one circle painting, eat muffins, go to school, come home and make more circle paintings!’ Ahhh…. So excited that he loves making art! 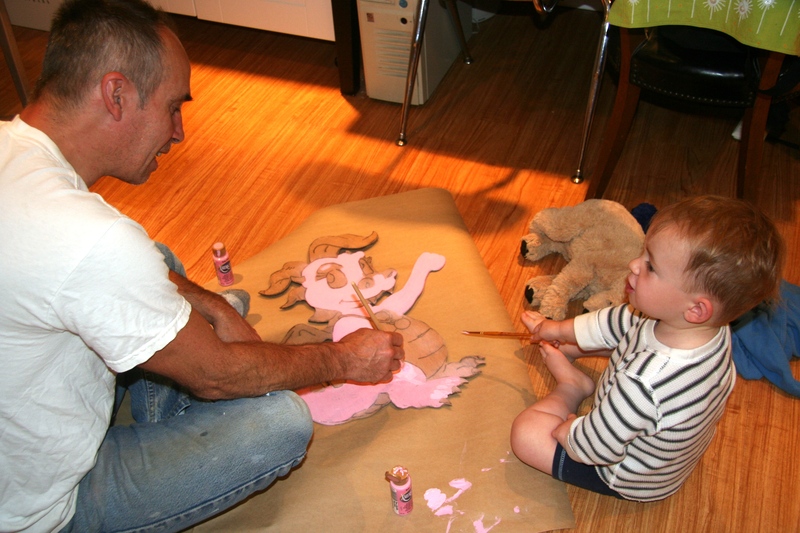 Did you have any family art projects this weekend??? 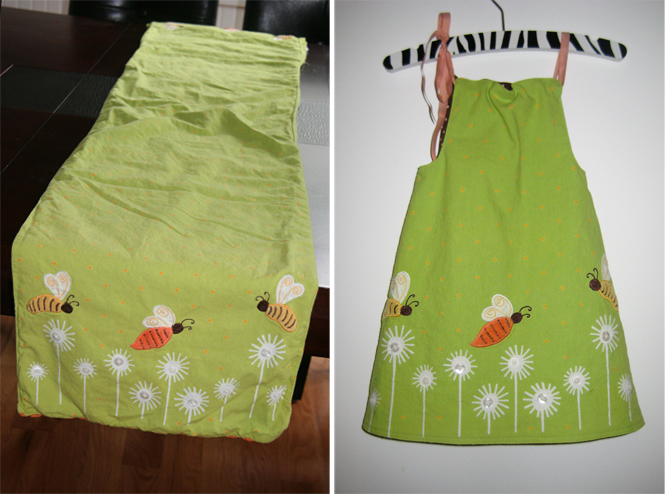 Since this project cost less than 5 buckaroos, I've linked it to the CSI weekly project link party! I had so much planned to get done during Celebrate the Boy month. 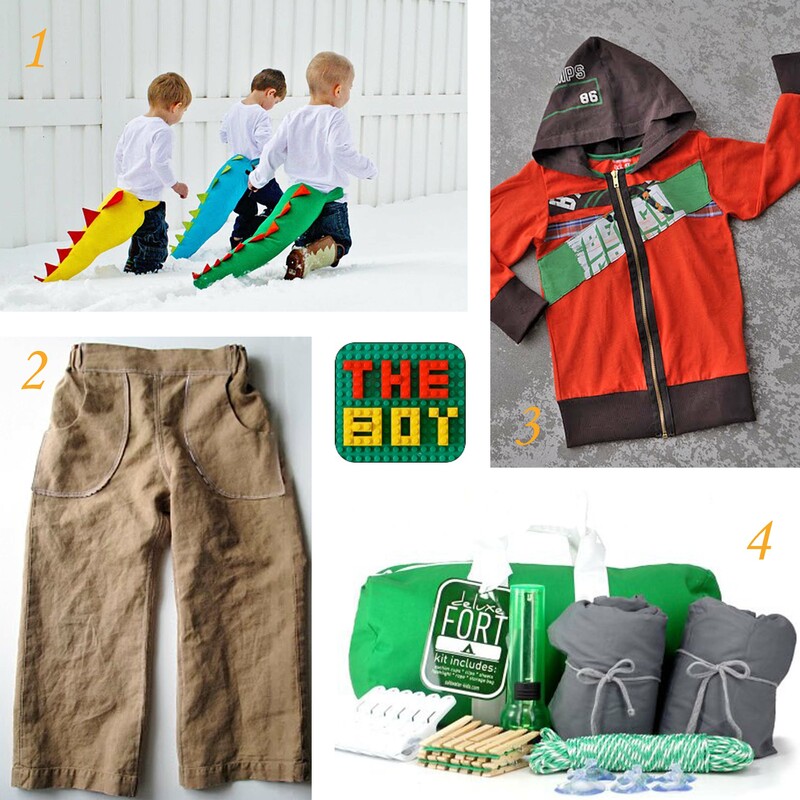 A leather, fleece lined vest, a hat, a scarf, pants, a fishing game…. Well, I did finally get his Island finished. And he loves it! What’s everyone else up to?? Where have you found inspiration this week?? Not only is it a day of silence for the victims, it is also a fundraiser with all proceeds going towards Shelterbox. ShelterBox provides emergency shelter and lifesaving supplies for families around the world who are affected by disasters at the time when they need it the most. Each large green ShelterBox is tailored to a disaster but typically contains a disaster relief tent for an extended family, blankets, water storage and purification equipment, cooking utensils, a stove, a basic tool kit, a children’s activity pack and other vital items. I have to admit, I’ve been trying to avoid as many images as possible. I listen on the radio, but it’s really hard for me to look. I figured out why… I’m terrified of earthquakes. I’m terrified of an earthquake happening and I can’t get to my family. I grew up on the Gulf Coast and we had hurricanes. Scary, but you have plenty of warning that it’s coming. Even time to name the storm, pack and retreat to safer areas. Earthquakes. No warning. Now I live in an earthquake zone… And they say that the next one is going to be a big one. I can only imagine the fear and the unknown that these people are going through right now. 1. Oh, my! 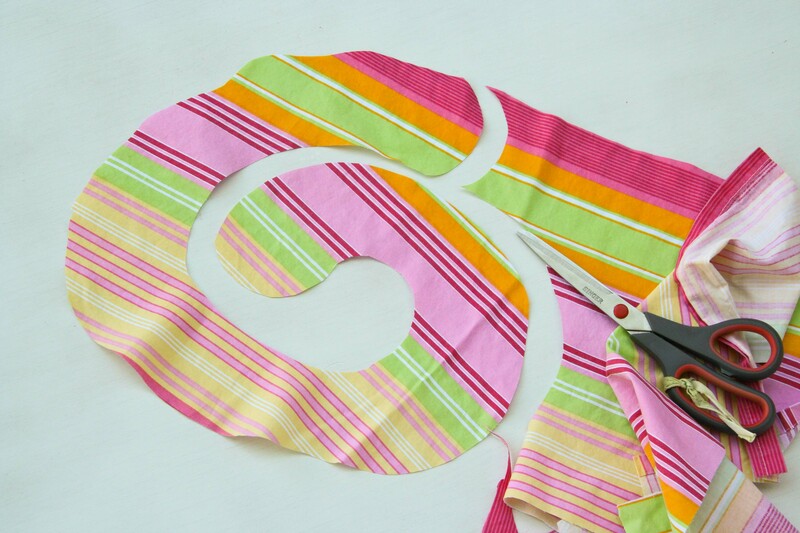 How cool are these dino tails from Running With Scissors? They are too cool!! And wouldn’t they go great with my dragon wings? Well, then they would have to be dragon tails, but I think that would work. And I also just love the picture, don’t you? Yep, must add to the To Do List! 2. 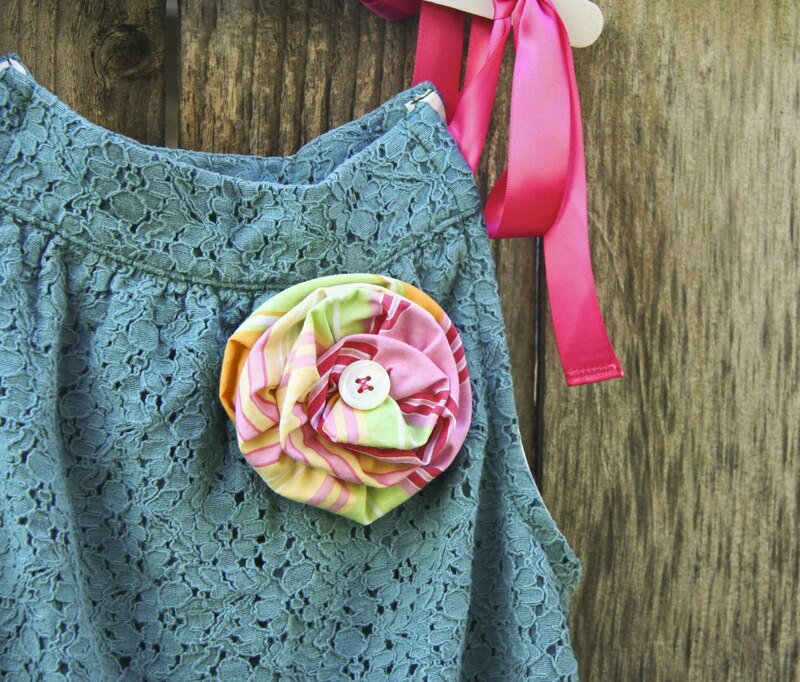 I have been thinking about a special outfit for my son for an upcoming event. Thinking maybe some cool, tailored overalls/onesie type thing, but a I really like the idea of a seersucker suit… Then I saw these Dapper Dillinger’s pants done by Made by Rae. I love them and keep imagining them in seersucker with white pockets, a white shirt and a cute little white and blue sweater…. hmmmm…..
3. And the hoodie by I Am Momma Hear Me Roar. This is another thing on my list of things I want to tackle. 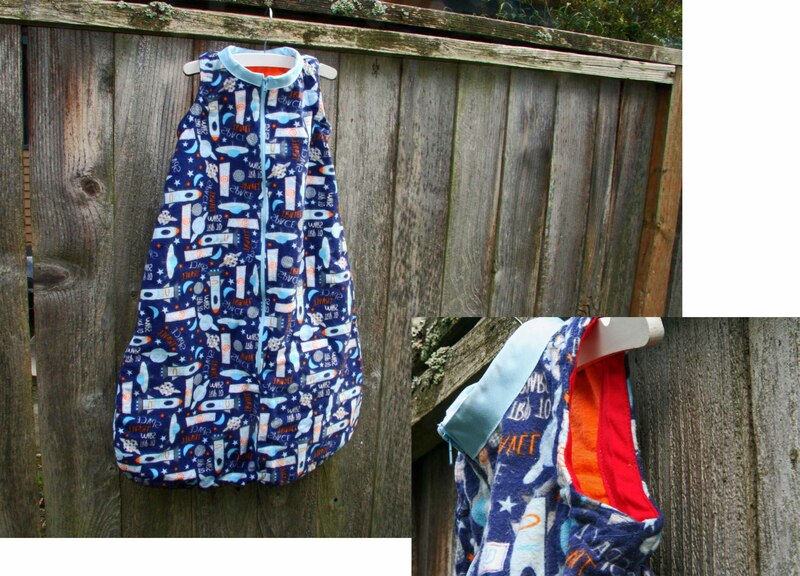 A hoodie for the kiddo…. 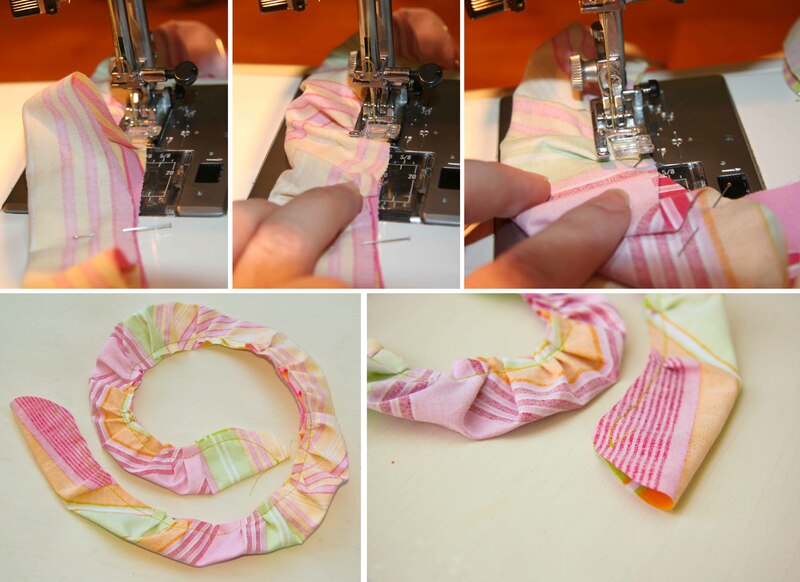 I love this one and the tutorial is nice and easy to follow! I love how easy the actual hoodie part is. Great idea! 4. I have been in love with the Fort Kit for ages. I saw it probably a year ago, but forgot where. I might have forgotten where I saw, but never did I forget about it! And then the awesome kit and tutorial from Saltwater Kids was featured as a giveaway this month on CTB and I was like, ‘There you are, my lovely fort kit!’ So glad to have found it again! There ya go, 4 of my favorite boy things this week! 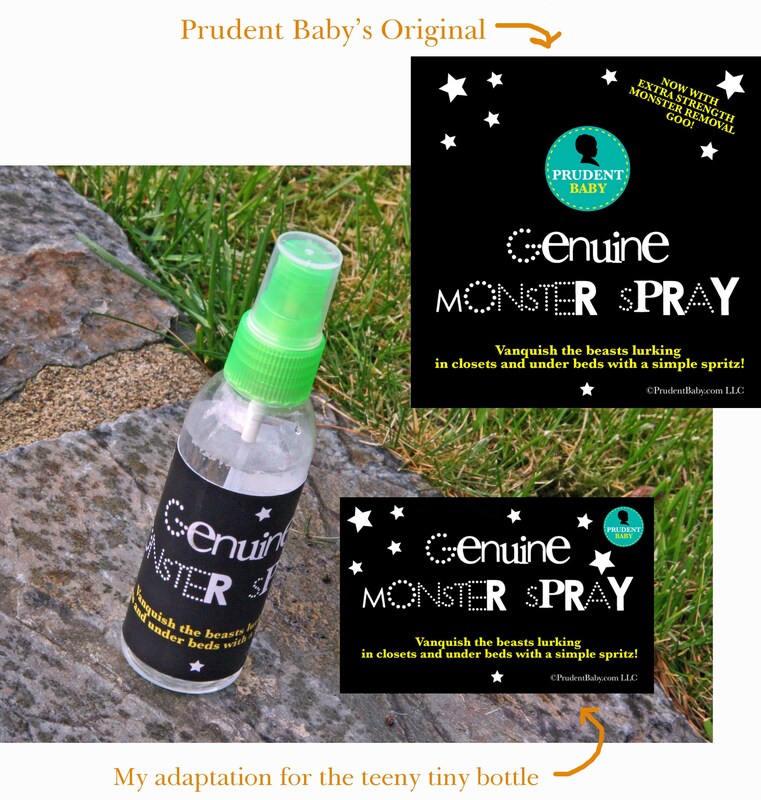 Tip: Don’t make this if you have any important adult meeting the next day…. It was a hit! I loved watching his little fingers make leaves for the trees! I was so excited to make this for him, FINALLY! 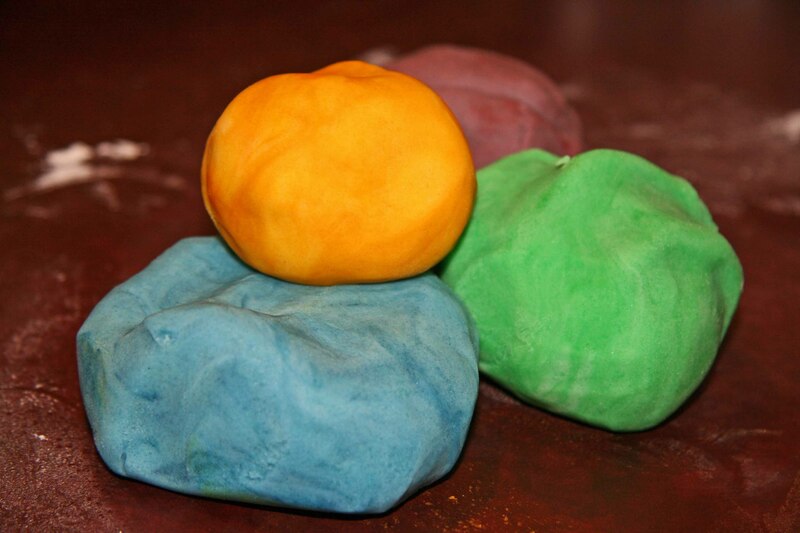 I feel kinda silly being this excited about making play dough, but it’s the little things, right? What have you been excited to make this week? 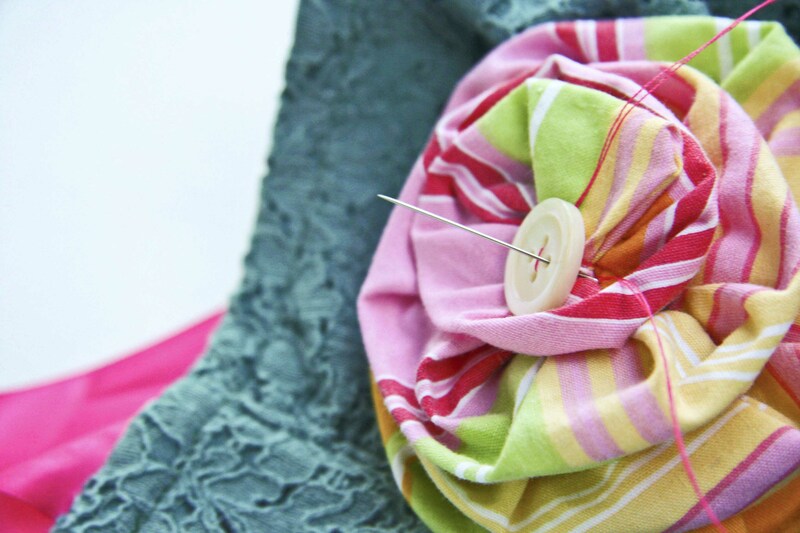 National Craft Month is sponsored by the Craft and Hobby Association as a way to celebrate all things crafty and to inspire people to try something new! Which is a good thing. I actually saw this last month and decided I wasn’t going to post about it, but then this weekend I saw the CHA’s list of why crafting is a good thing and wanted to share this list with you. And they are all true! When I have a bad day, I come home and make something. The son usually can break the stress of the day, but sometimes I need to just go my place and make something! 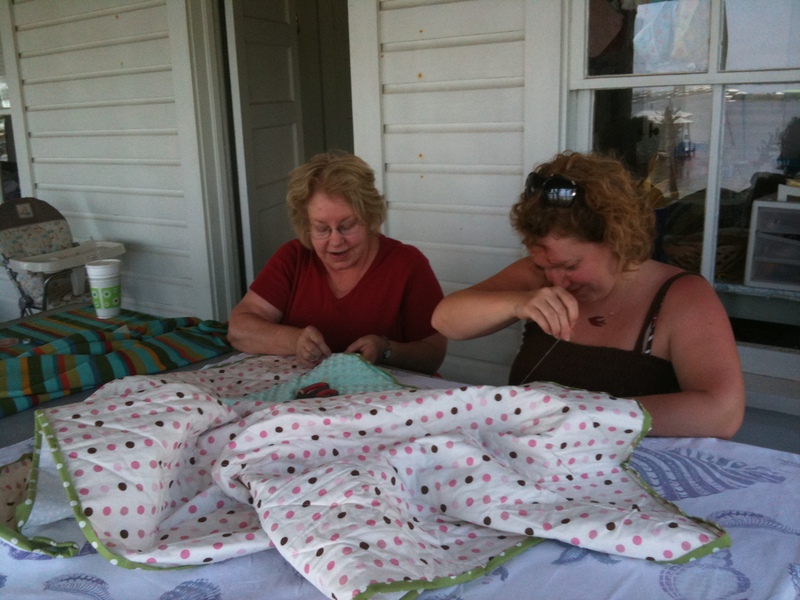 And then there are the days just sitting on the front porch of the beach house doing a little quilting. How perfect is that?? 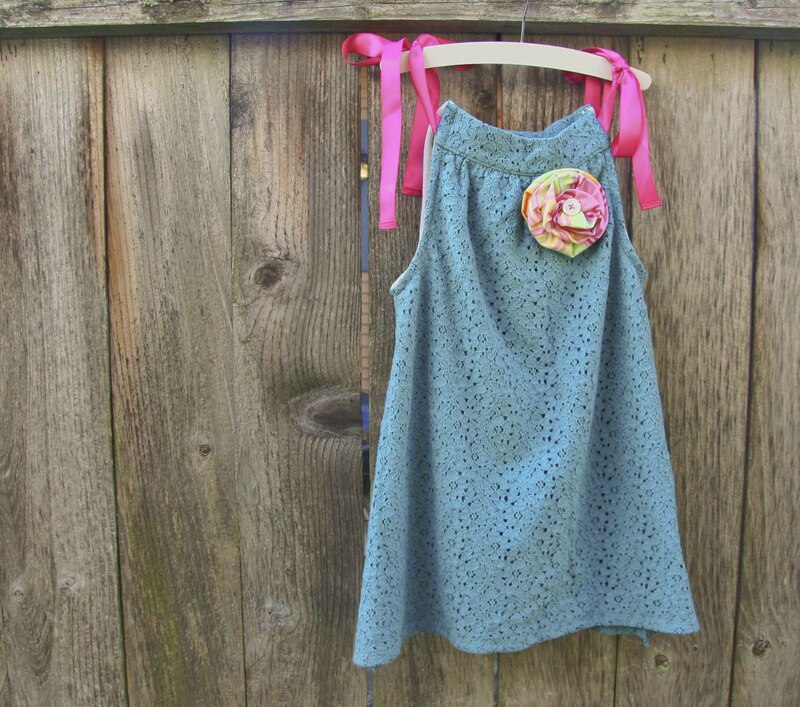 I find real joy in making something new out of something old. And bringing families together. My favorite on the list. 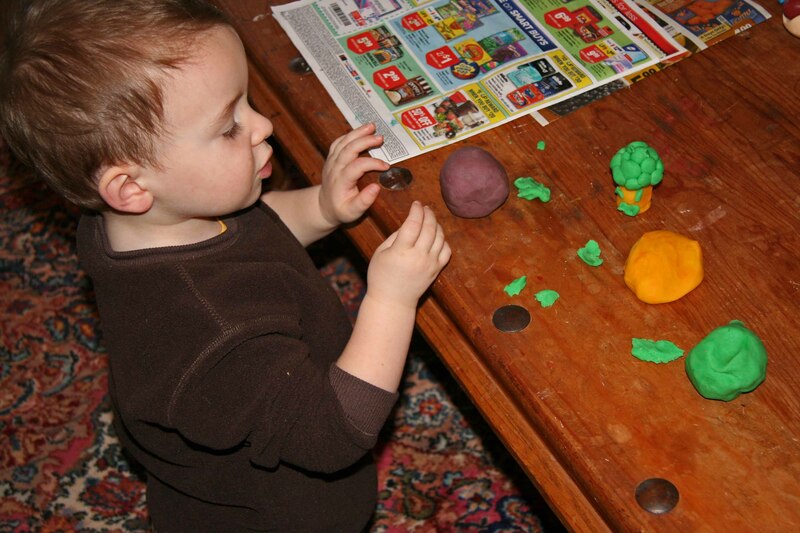 We’ve had such fun getting our son involved in making projects. He loves helping, painting, cooking, getting sewing projects ready and just sitting down and drawing! What do you have planned for this month? 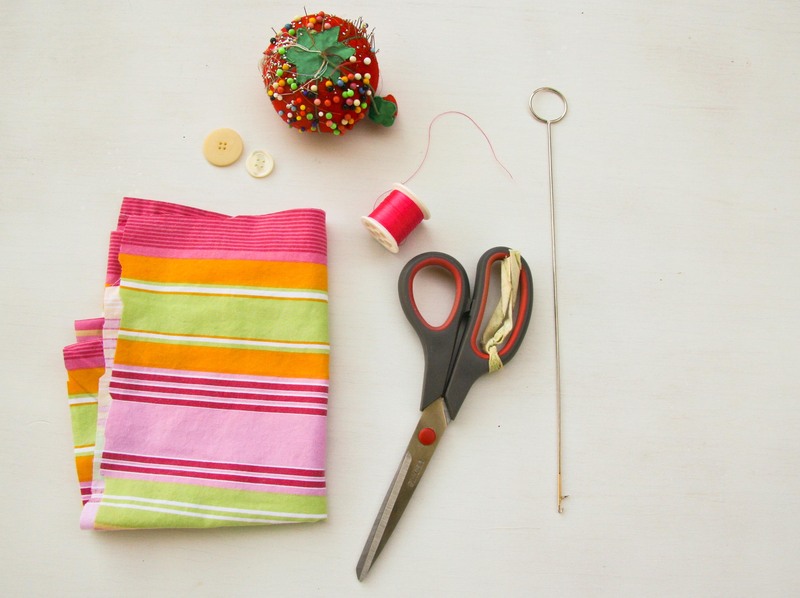 Any family crafting stories you’d like to share? I’d love to hear them!